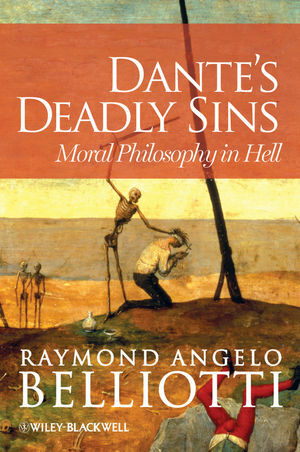 Dante’s Deadly Sins is a unique study of the moral philosophy behind Dante’s master work that considers the Commedia as he intended, namely, as a practical guide to moral betterment. Focusing on Inferno and Purgatorio, Belliotti examines the puzzles and paradoxes of Dante’s moral assumptions, his treatment of the 7 deadly sins, and how 10 of his most powerful moral lessons anticipate modern existentialism. Explains and evaluates Dante’s understanding of the ‘Seven Deadly Sins’ and the ultimate role they play as the basis of human transgression. Raymond Angelo Belliotti is SUNY Distinguished Teaching Professor of Philosophy at the State University of New York at Fredonia. He has published ten other books, including What Is the Meaning of Human Life? (2001), Happiness Is Overrated (2004), Watching Baseball Seeing Philosophy (2008), Niccolò Machiavelli (2008), and Roman Philosophy and the Good Life (2009). Belliotti has received the SUNY Chancellor's Award for Excellence in Teaching, the William T. Hagan Young Scholar/Artist Award, the Kasling Lecture Award for Excellence in Research and Scholarship, and the SUNY Foundation Research and Scholarship Recognition Award.